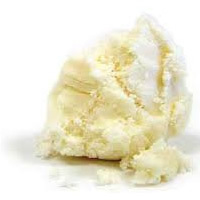 Shea Butter has such a large healing fraction, in addition to moisturizing fraction, regular use of this natural cream can treat many skin problems, including blemishes, wrinkles, itching, sunburns, small skin wounds, eczema, skin allergies, insect bites, frost bite, and other skin conditions. The concentration of natural vitamins and fatty acids in Shea butter makes it incredibly nourishing and moisturizing for skin. Reduces Inflammation: A 2010 study found that due to its cinnamic acid and other natural properties, shea butter was anti-inflammatory. Customers can order this with all the same benefits of raw organic african shea butter, you now have the capability of customizing this delight by adding scents. Select your scent(s) and we will whip the product up into a light, creamy skin concoction with the texture of whipped cream. Shea butter is in high demand due to its healing properties. In its raw unrefined state if not tampered with is organic hence making the product all natural. It can be whipped, as a result it becomes light and fluffy so it feels wonderful on the skin. First of all the whipped butter is soft and smooth. This product keeps the skin moisturized for long hours after application. This creamy butter batter is wonderful for many remedies. Furthermore it can also be used on the hair. It improves and reduces stretch marks in addition to blemishes. Most noteworthy this product is potent and will heal dry skin. It rejuvenates and protects extremely dry and dehydrated skin. Therefore it has a remarkable effect on wrinkles. It is softening and smoothes fine lines. Because of this it can reduce some signs of aging. Customers can buy this product which improve the elasticity of the skin. Therefore it can benefit both men and women. It can also block the sun’s ultraviolet rays. Pure unrefined Shea Butter first became popular in Africa. It can also block the sun’s ultraviolet rays. Give our product a try today. We are sure that you will love this wonderful product and its many uses.